I’ve been a fan of Agatha Christie and of the theatre for as long as I can remember, so how come I’ve only just gotten around to seeing The Mousetrap, her most famous play, which has been running in the West End for 67 years? I’m struggling to find an answer to that, but I’m glad to say that the wait was well worth it. Okay so The Mousetrap isn’t a masterpiece, nor is it even among the best of Christie’s work, but it’s hugely enjoyable hokum that is entirely actor proof – there was some severe overacting in the touring version I saw, but somehow it only added to the charm. The plot focuses on a bunch of people staying at the Monkswell Manor Guest House, newly opened by Mollie and Giles Ralston, who have no head for business but the kind of pluck one imagines the middle classes once had. Among them is a retired major, an eccentric Italian, a miserable middle-aged woman, a young man with an artistic personality and a younger female whose masculine attire seems to confuse everyone. While snowed-in during a blizzard, a police sergeant appears to warn them that somebody wants one or more of them dead for the part they played in a case of child cruelty some years before. 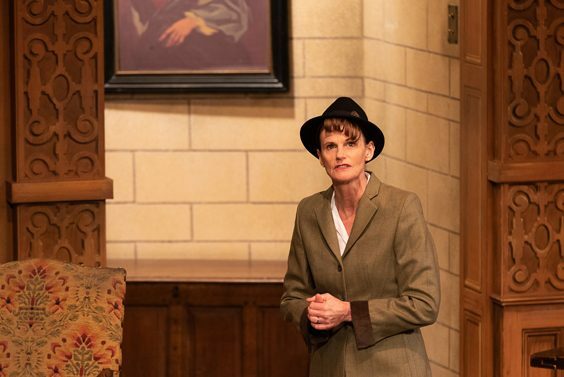 What unfolds is a cunning whodunit, although those familiar with Christie’s style will probably work out who the killer is long before the truth comes out on stage. Not that it matters too much, because in this case, the journey is far more fun than the eventual destination. The most recognisable cast member is Gwyneth Strong, aka Cassandra in Only Fools and Horses; it’s rather odd that one of the characters here is also called Trotter! But it’s ex-York University student Lewis Chandler who steals the show as the lovable if troubled Wren – surely big things await this talented performer. 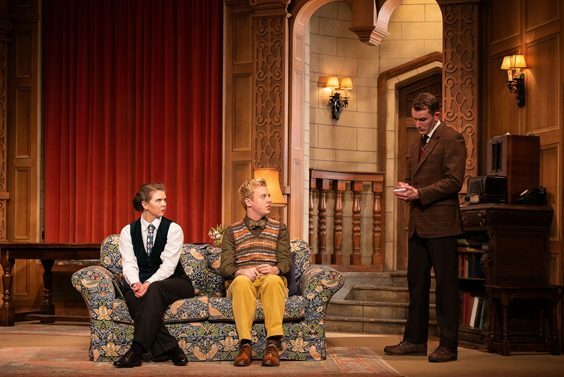 Whether Christie intended The Mousetrap to be quite as camp as this production certainly is remains unknown, but it’s obvious why it has such longevity – it offers a view of England as we like to believe the past once was. That’s also perhaps why so many tourists flock to see it; it gives them a view of the country they had hoped to find. Whatever the case, The Mousetrap is set to keep on entertaining new generations of theatregoers for decades to come – providing they do as the cast asks at the end of the performance by keeping the killer’s identity a secret forever.